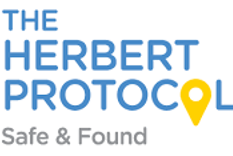 The Herbert Protocol is a national scheme being introduced by Bailiwick Law Enforcement in partnership with Dementia Friendly Guernsey. It encourages carers to compile useful information which could be used in the event of a vulnerable person, such as a dementia sufferer going missing. Click here for a video showing how it works. Herbert Protocol Person Report [376kb]. A paper copy will need to be handed to the Police Officer who attends to take the missing person's report.